Extremely explicit piece on why no content marketer should do anything but pay attention to, and be active on Google Plus. Read the entire thing here, it will be worth your time. 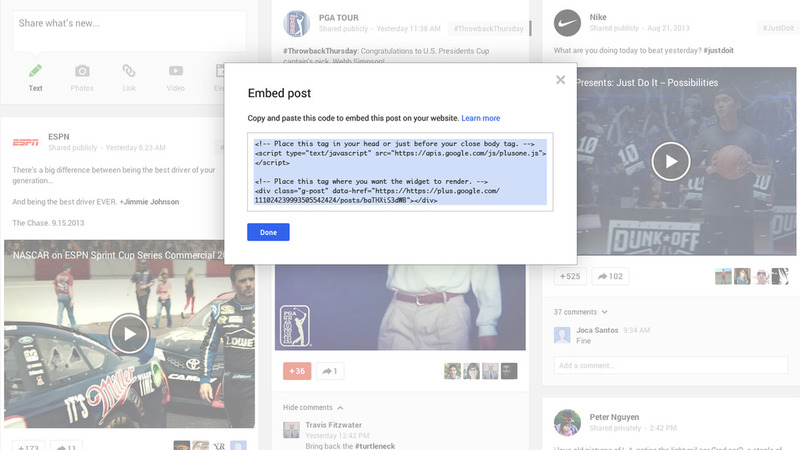 Google Plus introduced two new features on September 9, 2013: Author Attribution and Embedded Posts. Read about it on the official Google+ Developers Blog.